In this group detectors cost up to 350 $ (300€). They are intent for beginners who are new to this hobby and don't want to invest much at the very beginning. I can assure you that those detectors will bring you finds and you get the most of your money invested. This is simply because 2 or 3 times expensiver machine won't bring you 2 to 3 times more finds. So here are the leaders of this price group. 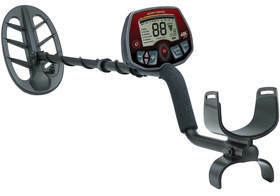 Minelab has launched their X-Terra model range back in 2005 and is still popular among detectorists. It has an adjustable ground balance that is rare in this price segment. Wide range of additional coils is availible for this machine, with good double D coil it will outperform any competitor in this segment. As it is very popular detector, aftermarket liquidity really good, so you will be able to sell this machine easily in case of going for upgrade. 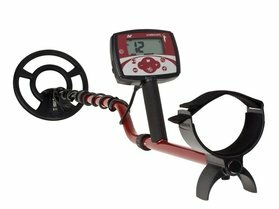 This machine is really lightweight, you will go hours and hours detecting without fatigue in your wrist. Detector is known for fast reactivity, it means no coin will be missed lying close to the iron object. Machine has manual and automatic ground balance, something that you won't see in detectors of this price group. It can be said that performance of Gamma 6000 is almost reaching to the Tier 2. ​Gamma 6000 is currently on sale on Amazon. Recent price drops makes this machine one of the ''best bang for a buck'' choices. No doubt this model is popular in the US. 11'' Double D search coil is known for depth and waterproofness. You can go underwater with this deep coil near river banks and shallow water. All this backed by 5y manufacturer warranty. Display is easily readable but sadly not backlit, so you won't be able to continue searching in the dim or dark environment. But it is ok, that is something you don't see in this price group a lot. 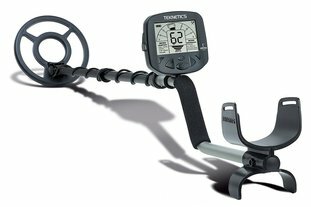 This is a metal detector that won’t outgrow your skill level in first years.